NASHVILLE – A divinity school in Tennessee has installed an openly homosexual clergywoman as the school’s new dean. In keeping with these beliefs, the school has officially appointed Emilie Townes as the 16th dean of the school. Not only is Townes an ordained American Baptist clergywoman, but she is also an overt homosexual. A news article on the VDS website described her as “a pioneering scholar in the field of womanist theology.” During her official convocation ceremony, the Temple Church Choir of Nashville opened with a Michael Jackson song. 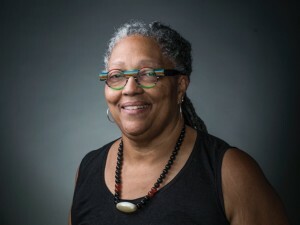 Townes’ liberal stance on social issues have earned her a profile on The Lesbian, Gay, Bisexual and Transgender Religious Archives Network. In a 2012 article Townes wrote for The Huffington Post, she describes her “marriage” with her homosexual partner. Townes’ homosexual partner, Laurel Schneider, also joined the VDS faculty this year. Schneider is now a professor of religious studies. Mohler argues that Christians should respond to homosexuals with genuine compassion, but such compassion should always convey biblical truth. “Those seeking to contort and subvert the Bible’s message are not responding to homosexuals with compassion. To lie is never compassionate,” he contends.